Retreat, oasis of tranquility, and relaxation – these are the requirements that the garden is increasingly expected to meet as a living space. Screens, enclosures, and the design of garden spaces can greatly contribute to a feeling of well-being and privacy. "Visual Barrier and Garden Design” provides a unique and extensive selection of attractive examples of individual privacy screens in the garden. 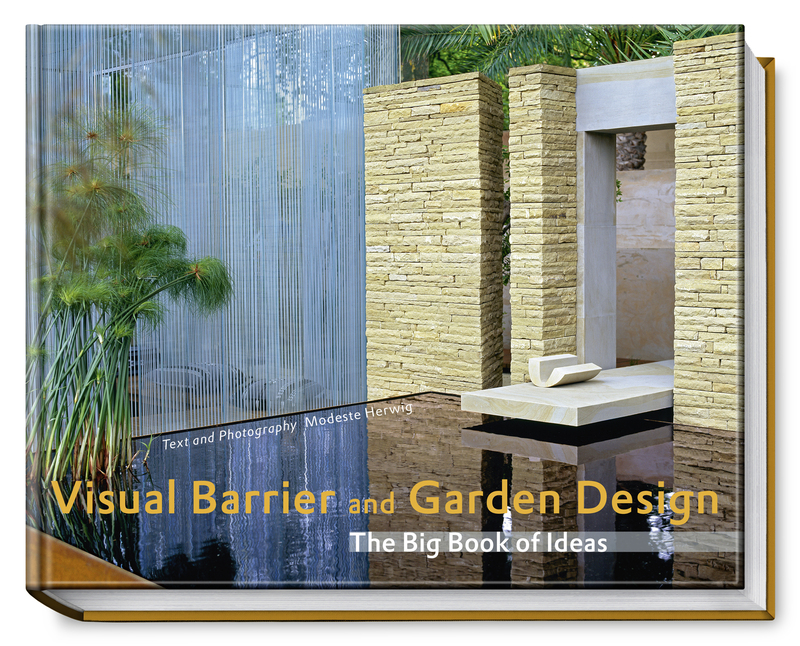 Hedges, walls, gabions, and pergolas are the headliners of this book full of exquisite photos and interesting ideas. The broad and exceptional array of classic and modern elements as well as plant and non-plant materials provides an overview of the diversity of possible designs and encourages new combinations. Modeste Herwig has again succeeded in collecting extraordinary motifs from the most beautiful gardens in Europe and in skillfully photographing them. She also provides informative tips on putting the ideas presented into practice. Hence, every garden designer will find suggestions for his or her own ideas and preferences which go far beyond what one would normally find on this subject.